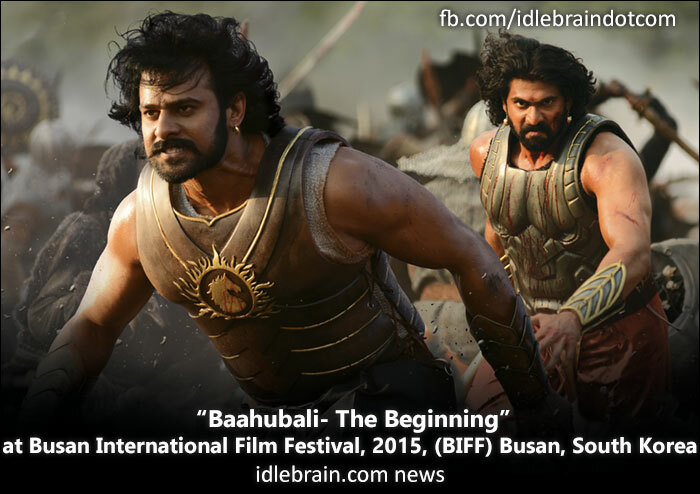 “Baahubali: The Beginning”, India’s biggest motion picture, will be screened in the Open Cinema category of the 20th Busan International Film Festival, to be held this year in Busan, South Korea from Oct. 1 to Oct. 10. “Baahubali: The Beginning” has shattered numerous records and today it is the highest domestic grosser in the history of Indian Cinema. The 'International Cut' of "Baahubali - The Beginning" has been completed by editor Vincent Tabaillon of “Taken 2”,” Incredible Hulk” and “Transporter 2” fame and will be screened at BIFF. Busan International Film Festival, founded in 1996, is one of the most prestigious film festivals in Asia. Showcasing new innovative cinema and supporting new talent has been the focus of this event since the beginning. Busan IFF 2015 will feature a total of 304 films from 75 countries – of which, 121 will be World and International premieres. “Baahubali: The Beginning” is scheduled for indoor screenings on Oct. 4 and Oct 7, and an outdoor screening on Oct. 9. S. S. Rajamouli will be at the screening of “Baahubali: The Beginning” on Oct. 4, which will be followed by a special Q & A session with the Korean audience and media.